The first tentative sign of the British colonial policy in the Maldives was made evident by the trip of Commander Moresby, who came to the Maldives in 1835 with special letters to the Radhun from the Governments of Bombay and Ceylon. The purpose of Commander Moresby's visit was to survey and chart the Maldivian seas for the British Admiralty. By the eighteen hundreds, the European Oriental Trade had expanded vastly, and since the Maldives straddles the trade routes from Europe and Africa to the East, surveying and charting the Maldivian seas became a most urgent international need. Therefore, when the British Admiralty survey of the Red Sea was completed in 1834, Commander Moresby was dispatched to the Maldives. He was bearing a letter from the British government to the Radhun. In the letter the British government had justified the survey as being of benefit to the Maldives. The letter stated that the survey and charting the reefs, sand banks and the depths of the local seas would facilitate the movements of vessels calling at Male', and thereby increase and broaden the local overseas trade. When viewed from one side of the issue, the British argument was indeed rather attractive. However, when considered in a different perspective there were innumerable issues which could arise because of the British intentions. The reefs and the shallows of the Maldives was her first line of defense. The strategic importance of the topography of the Maldivian reefs, shallows, islands and the atolls of the country has been a closely guarded secret of the Maldivian militia for centuries. 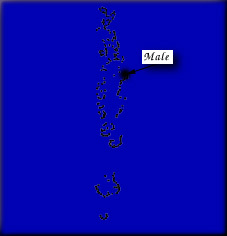 Therefore, if the Maldivian territory was to be charted by the British, this first line of the Maldivian defense system would become obsolete. Mueenuhdeen Radhun's defense system would have been made vulnerable. Thus, the fact that the Radhun tried his utmost to keep Commander Moresby from performing the task entrusted to him by the British government could be viewed as the natural rejoinder to such a threat to the Radhun's throne. Furthermore, Commander Moresby's inspection of the bastions of Male gave further threat to the Radhun, making the Radhun suspicious of the British intentions. The Radhun not only refused to cooperate with Commander Moresby, but also created all sorts of passive obstructions and Moresby left the Maldives with his intentions unfulfilled. Given the nature of Commander Moresby's visit, i.e., looking into matters that the Maldives considered its defense secrets; the visit was extremely untimely. Firstly there was the ongoing troubles with the Raja of Kannanoor. As a result of the letters sent by the Raja in 1828 both countries were almost on a war footing. Meanwhile in 1834, Dhon Ahamed Didi Dhoshimeynaa Kilegefaanu and more members of the Athireegey clan, after fleeing the country had acquired the help of Raja of Kannanoor and were living in Minicoy. The news that, while in Minicoy they were trying to enlist British help to overthrow Mueenuhdeen Radhun had reached Male'. "There are courts of Law established on the Island (Ceylon) which are open to all persons; and Your Highness may order your Agents to have recourse to the Courts to the recovery of any property Your Highness may have to claim, and the case will be decided according to law and justice. It is not customary for the Government to interfere in such cases, wherein the rights of the property of the inhabitants are concerned, and which may be decided by law by the Courts of Justice appointed for the purpose." Although the British reply to the Radhun's request may have been the just and civilized means of going about such a claim, it most certainly would not have pleased the Radhun. In retrospect, the asylum granted to Dhon Ahamed Didi Dhoshimeynaa Kilegefaanu by the British cannot be considered just as an act of upholding greater principles. The British, then, to a certain extent, were desirous of interfering in the internal affairs of the Maldives. By early 1800's the British Empire had stretched all throughout South Asia, and the British had complete control of this Empire. If the Maldives, situated in the midst of that British Empire, were to be given there full independence, even in its internal affairs, things at times could be somewhat awkward for the British in the Indian Ocean. This was made obvious by the obstructive reception given by Mueenuhdeen Radhun to Commander Moresby. 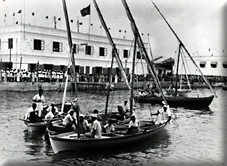 Therefore, in order to prevent obstructions, such as faced by Commander Moresby, the British needed to have a government in the Maldives that was more in tune with the wishes of the British Empire. On meeting the adrift Dhon Ahamed Didi Dhoshimeynaa Kilegefaanu "on a sea of unfathomable depth", the British decided that he was their ideal yes-man. A government in the Maldives with Dhon Ahamed Didi Dhoshimeynaa Kilegefaanu at the helm of it, became a very cost effective means of conducting the British rule in the Maldives. The other alternative was to make the Maldives a full fledged British colony. The British colonial policy, was to a very large extent based on trade. To continuously uphold the Maldives as a British colony would have cost them financially much more than they would have been able to generate from the country. Thus, to establish a pro-British entity such as Dhon Ahamed Didi Dhoshimeynaa Kilegefaanu was, the most cost effective means of controlling the internal affairs of the country. Dhon Ahamed Didi Dhoshimeynaa Kilegefaanu and senior members of the Athireegey clan fled the country in 1834. In 1835, Mueenuhdeen Radhun passed away, and his son born to Athireegey Khadeejaa Didi, Muskulhi Bandaarain, became the Radhun. On his assumption of office, Dhon Ahamed Didi Dhoshimeynaa Kilegefaanu came back to the Maldives and was reinstated as prime minister and all obstacles to the Survey was removed. Dhon Ahamed Didi Dhoshimeynaa Kilegefaanu's pre-eminent position, and his friendly attitude towards the British government, brought about the successful completion of the marine survey. 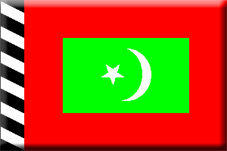 The initial British interference with the Maldives took the form of aiding a Bodun who had fallen out with the Radhun. There was nothing new in that. Local Bodun had always enlisted the help of foreign rulers in attempting to over throw the Radhun. Nevertheless, the introduction of British rule, further systemised this tradition. Dhon Ahamed Didi Dhoshimeynaa Kilegefaanu and senior members of Athireegey Clan realised that there was a power much greater than the Radhun: the British. When the British were ready to assist certain Bodun, feuding with the Radhun, the authority and power of the Radhun started to decline. With this, the balance of power within the Dhivehi polity started moving out of course. the history of the Maldives in more detail. Here is an Outline of his proposed book.